This EP is fresh! 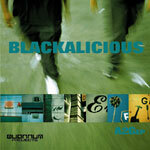 It is quite possibly Blackalicious' best stuff to date. Get it and see what the hype is about. All songs except 'Alphabet Aerobics' produced by Chief Xcel. 'Alphabet Aerobics' produced by Cut Chemist. Spit by Gift of Gab.